Location: Chavagnac, in the Cantal departement of France (Auvergne Region). Built: Rebuilt in 15th to 17th century. Notes: Château Chavagnac. Chavagnac lordship was held by the family of Dienne, vassal of the bishop for the land. After the battle of Poitiers, British troops invaded the Auvergne. The castle was taken and plundered by the English in 1357 and razed in 1360. 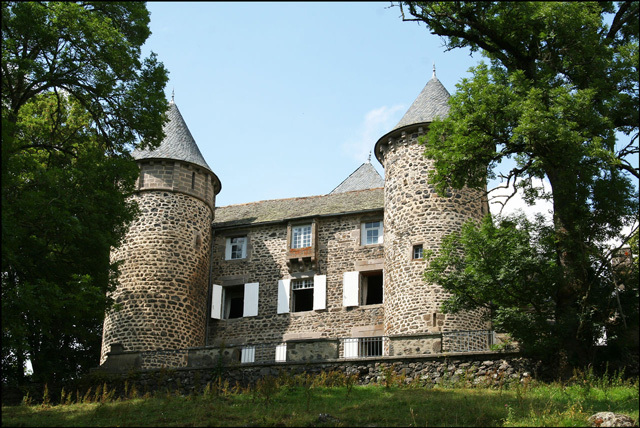 The castle was rebuilt in the fifteenth century and restored in 1646 and the nineteenth century. The building is registered as historical monuments in 1991.